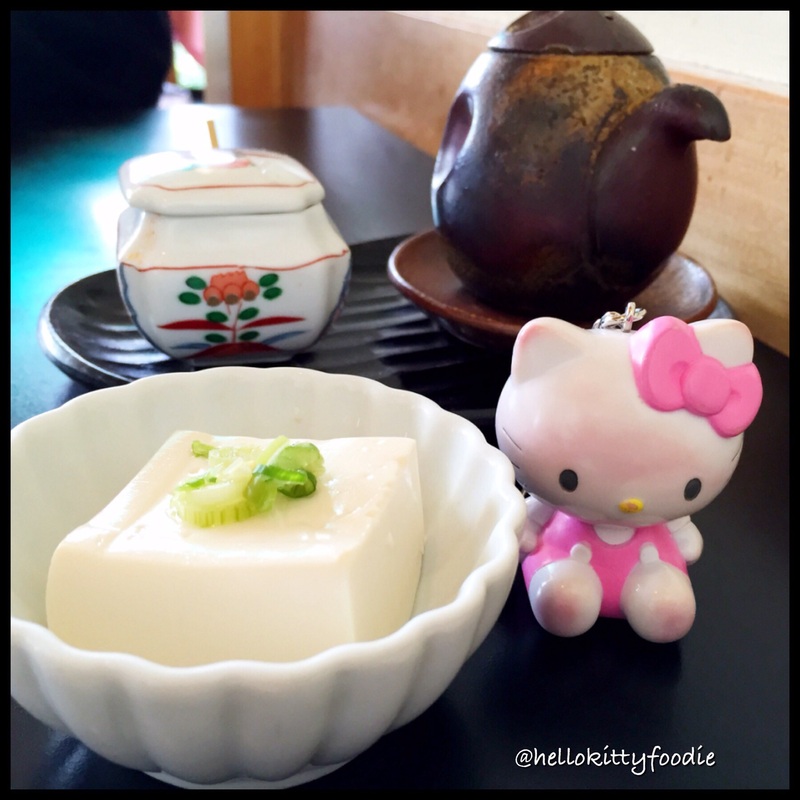 Bonding with my Mama Kitty are the most special moments for this Hello Kitty Foodie. I love my mom and love spending time with here. With her, I’ve tried some of the best restaurants around town. In the recent years, we’ve grown fond of Japanese food and thus for this Mother’s Day, it was fitting to try out one of the South Bay’s most popular Japanese restaurants, Oumi Sasaya. 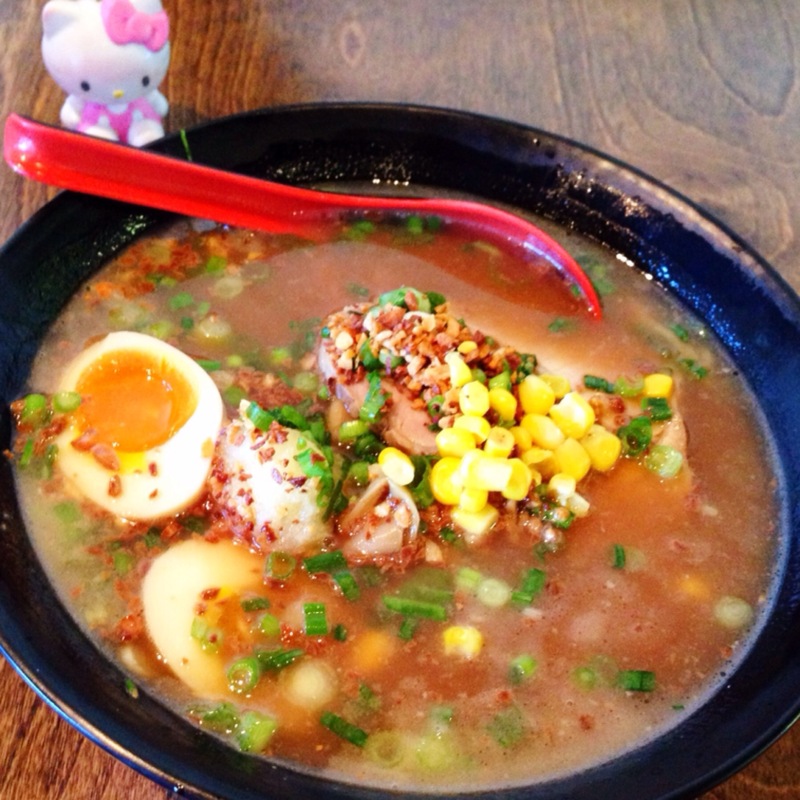 Located in Lomita, California, Oumi Sasaya, offers authentic Japanese noodles and broth with no additivites. This restaurant is a re-creation of the original “Sasaya” restaurant in the “Oumi” region of Japan. 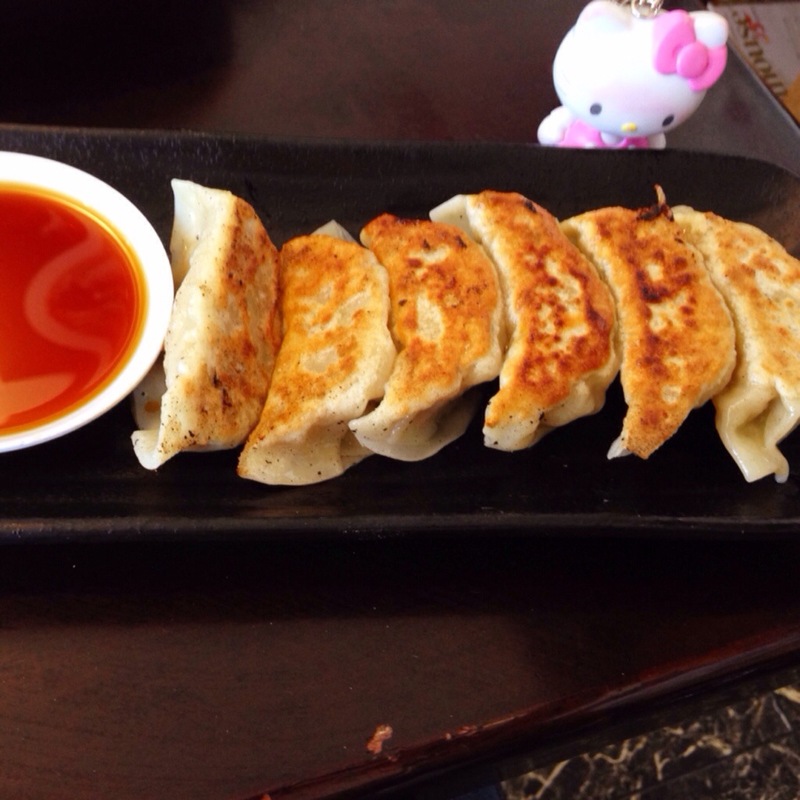 The child of the original Oumi Sasaya immigrated to the US and decided to open this restaurant here in California in order to continue the legacy of their father. I love that this restaurant was built as child’s tribute to their father. My mom and I’s dining experience here started off with a complimentary tofu dish. It’s a soft a small soft tofu with a little bit of green onions sprinkled on top. My mom and I both chose to get combos for our main dishes. 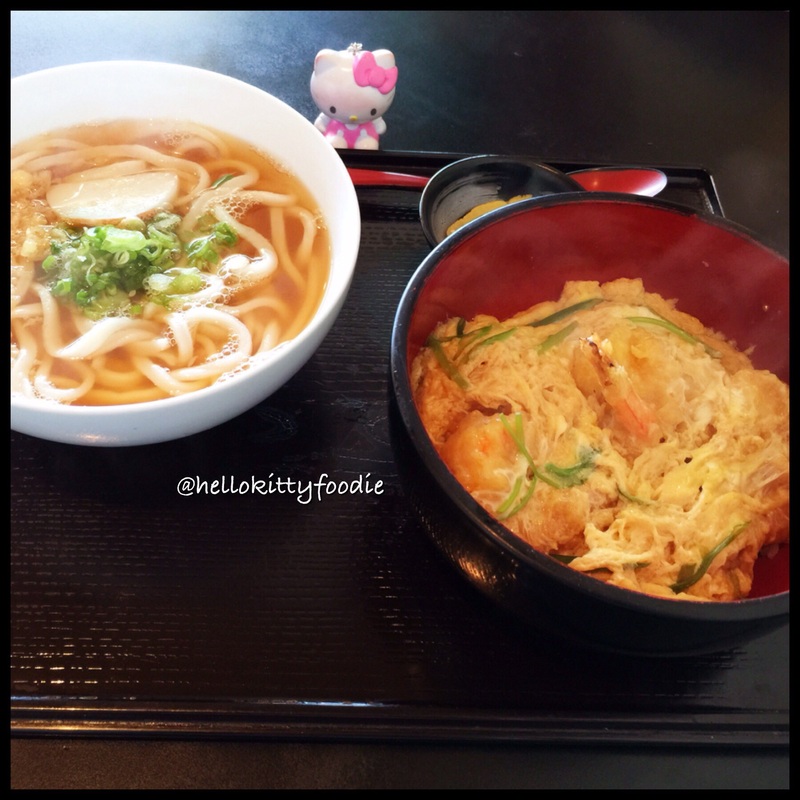 My mom got the shrimp tempura and egg bowl with mini hot udon. 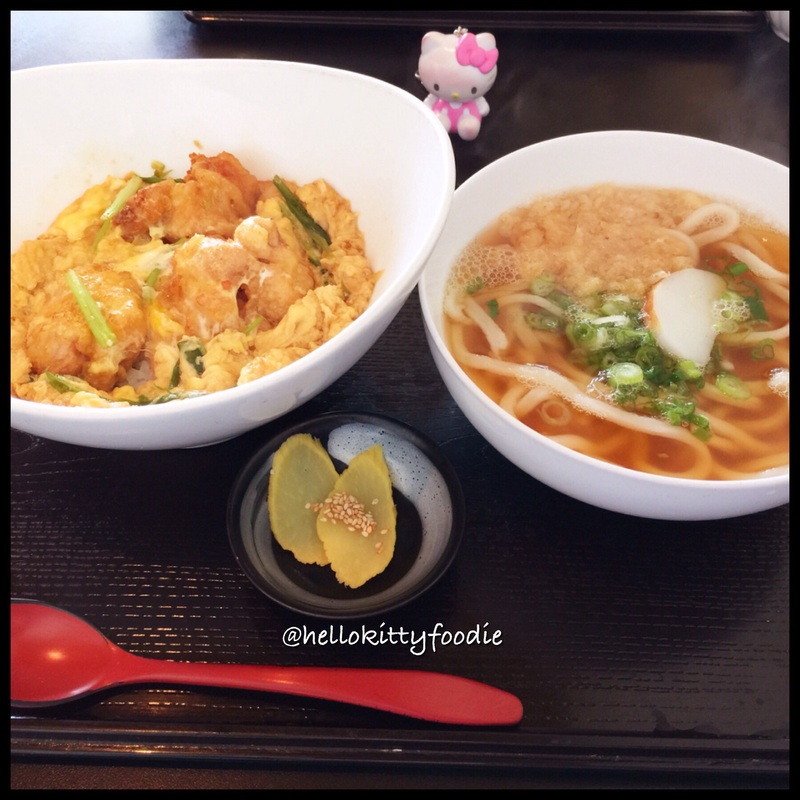 I chose to get the simmered chicken tempura and egg bowl with mini hot udon . Our dishes were very similar. 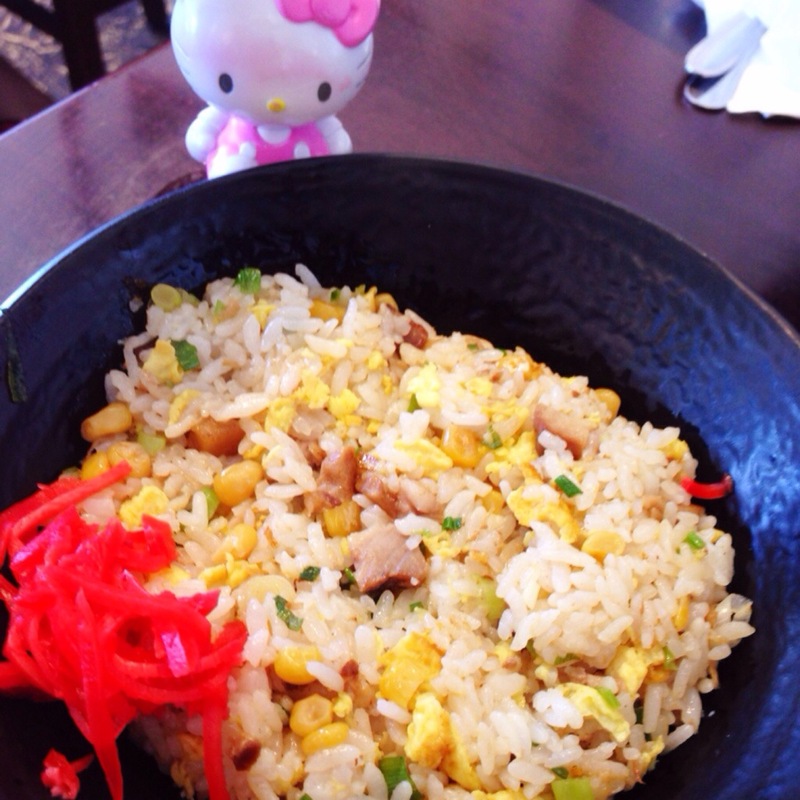 Both of our rice bowls were filled with lots of soft, scrambled egg on top of white rice. My mom’s bowl had three pieces of shrimp tempura while mine had three pieces of large chicken tempura. I loved my chicken tempura. It was lightly battered and fried to golden perfection making it uber crispy at first bite. On the side was some yellow radish that great when mixed in with the egg and chicken in the rice bowl. The accompanying mini hot udon was very nice. This place is known for their udon and it’s not hard to see why. 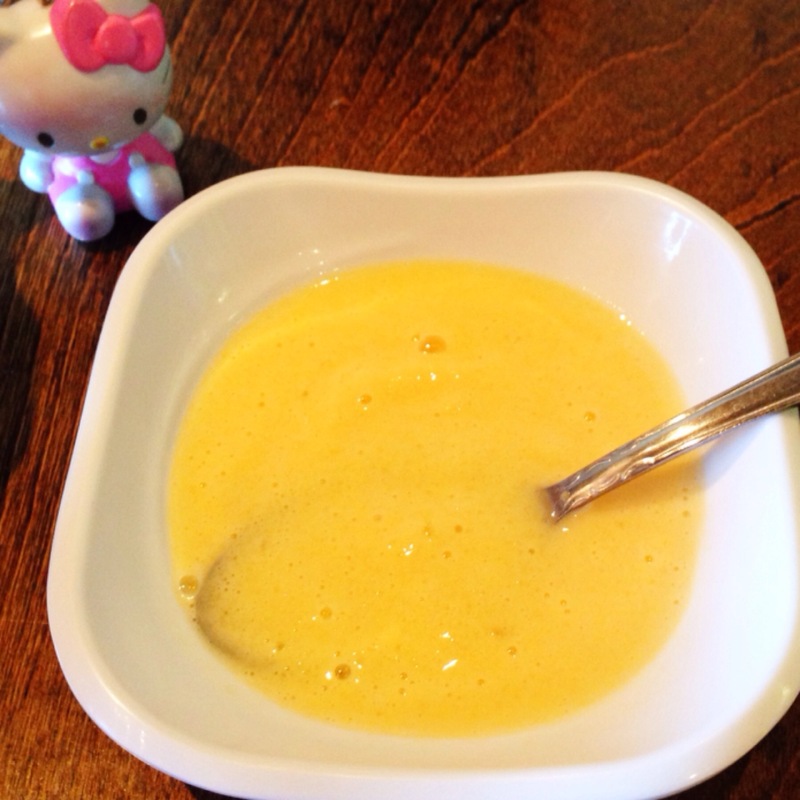 The broth is simple but has comforting to the palate. Their udon noodles are fresh, soft and delicate. They are perfectly chewy. Topping the udon was lovely tempura crisps. 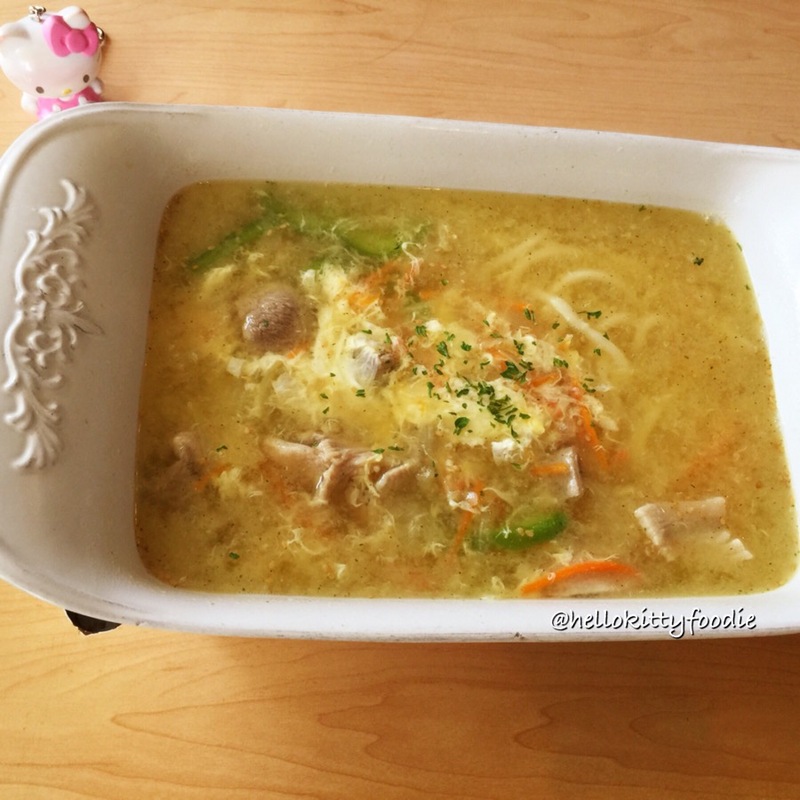 Together the heartwarming broth and the savory egg bowls made a perfect pair. Everything that my mom and I tried here was very delcious. I couldn’t help but notice how many other families were here as well enjoying the traditional Japanese udon dishes. It really is a lovely place to enjoy homemade fresh udon noodles and hearty bowls. My mom and I were full of smiles after our Mother’s Day meal here. It truly was a lovely beautiful Mother’s Day with my mom. Every moment with her is the sweetest and I treasure all those times! I hope that all of you dear readers got to have an equally sweet Mother’s Day! 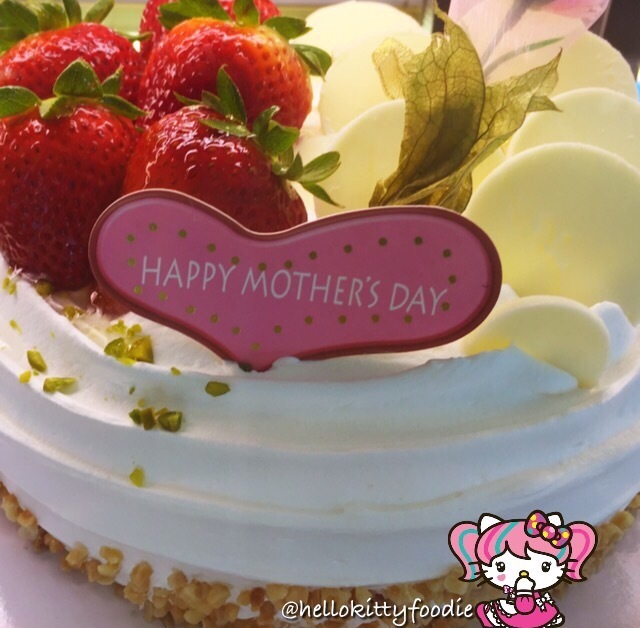 Happy Mother’s Day! 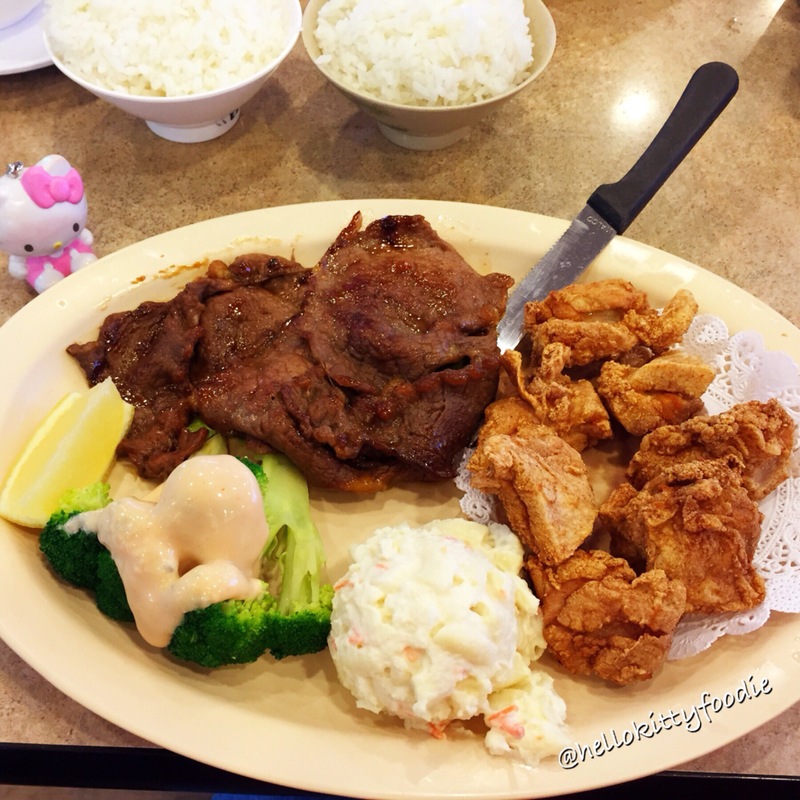 For more smiles, please see my recent Yelp review on Oumi Sasaya. I have a fascination with Japan and it’s a travel destination that I hope to one day visit. 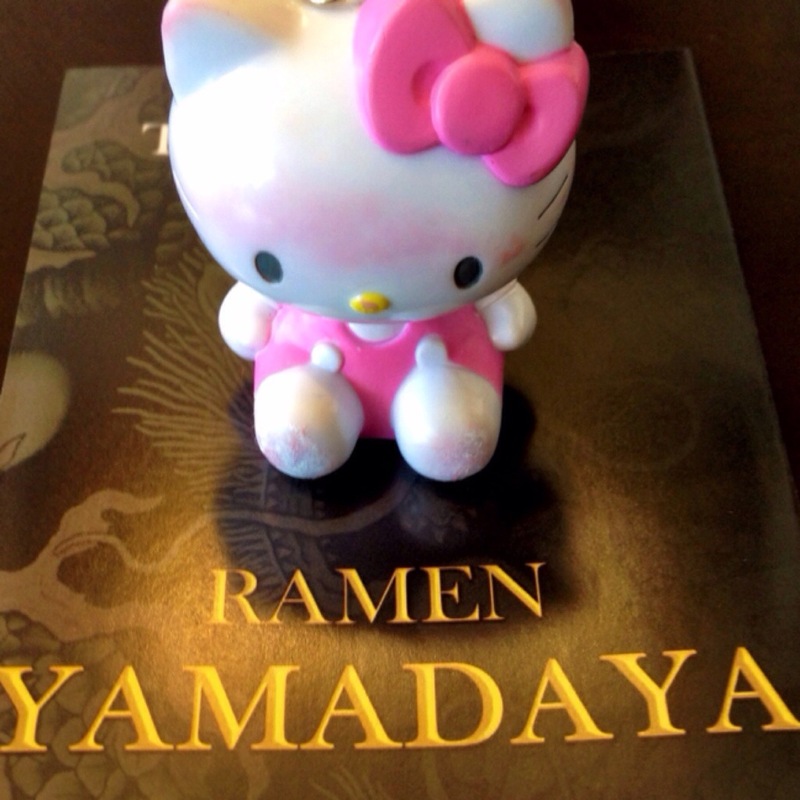 I won’t deny it that the biggest factor is Hello Kitty, my favorite Japanese kitty of all time. 😉 It’s my dream to one day take that Hello Kitty plane to Japan, go to Sanrio Puroland, buy Japan Hello Kitty exclusives and eat delicious Japanese cuisine. 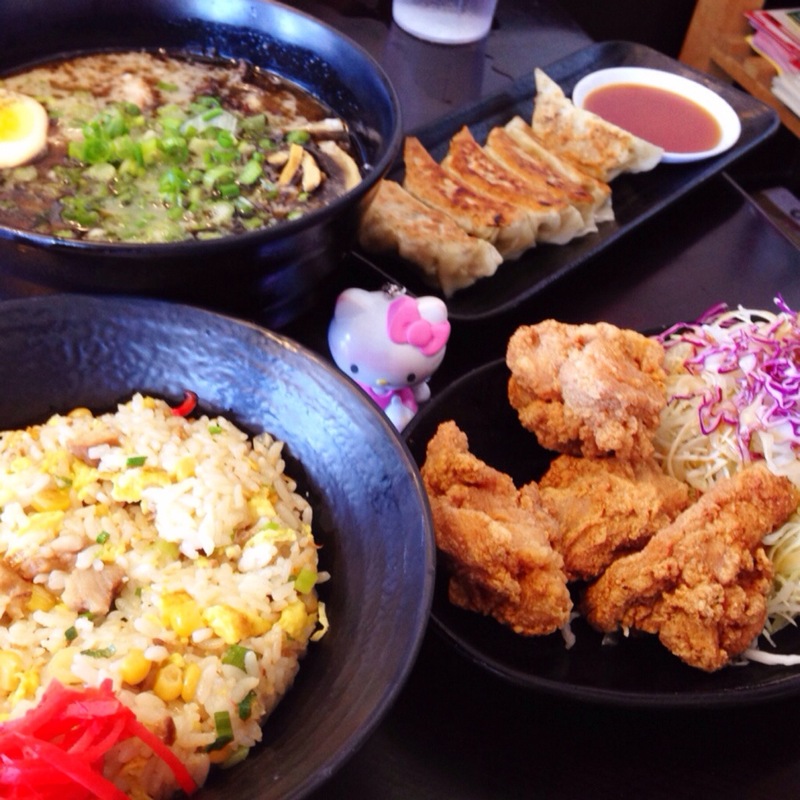 Ahh yes, Japanese cuisine, another reason why I would love to go to Japan one day. 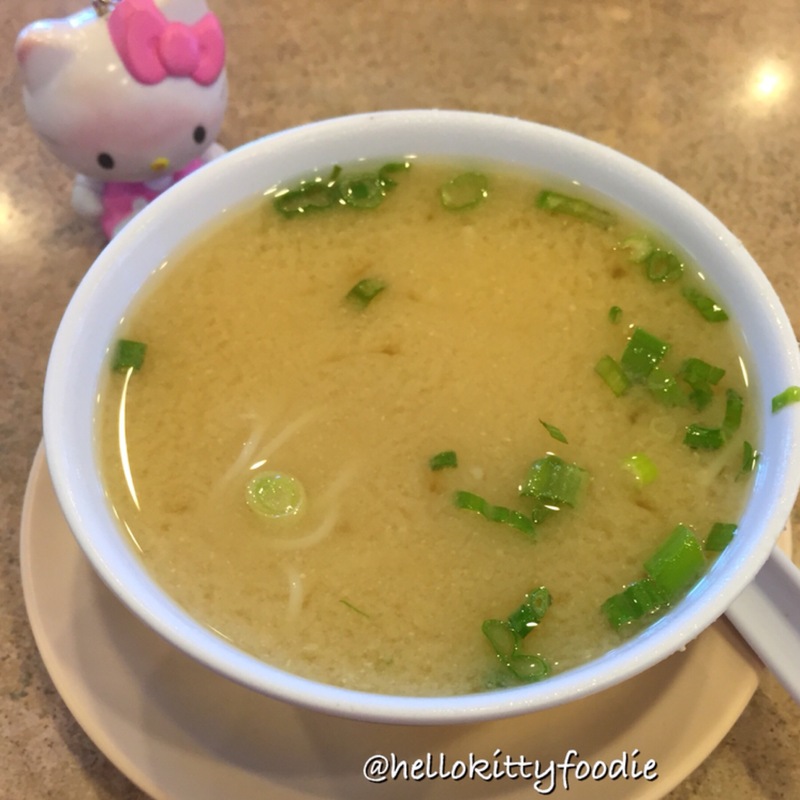 For now however I am lucky to bask in Hello Kitty happiness here in California and eat a different places that specialize in Japanese cuisine. 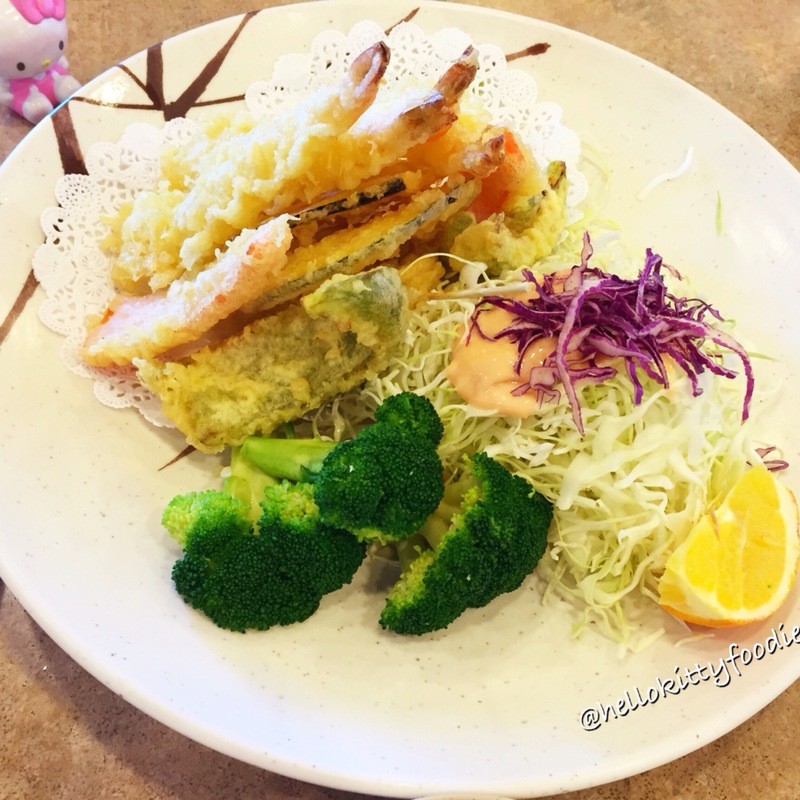 Just recently I tried out a great Japanese restaurant named Gaja Japanese Restaurant in Lomita, California. 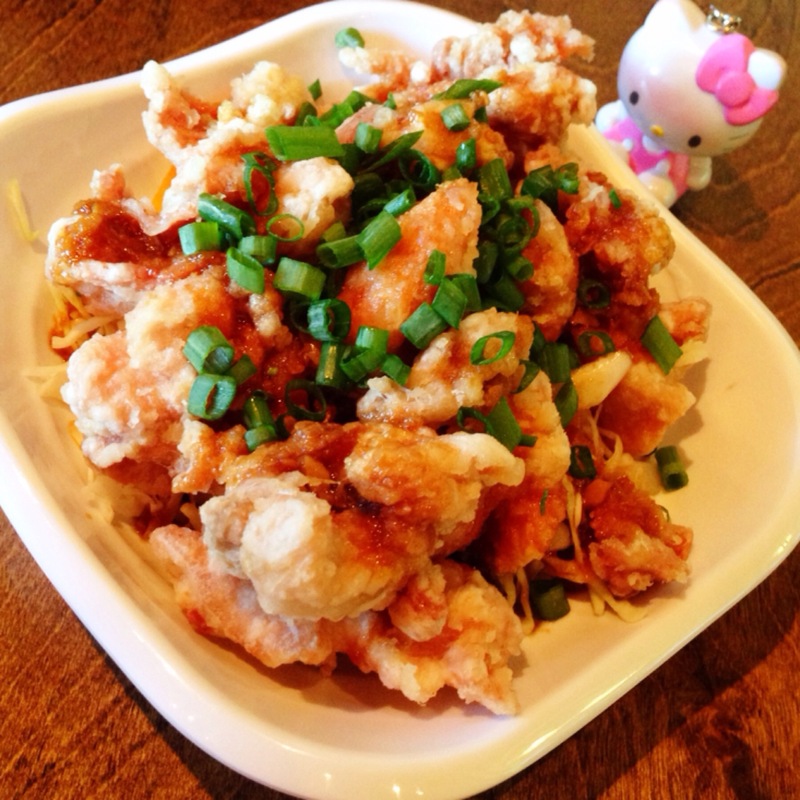 Gaja Japanese Restaurant specializes in various Japanese dishes of okonomiyaki, monjyayaki, pasta, udon and risotto. On my trip here I got to try a variety of some of their various specialities. 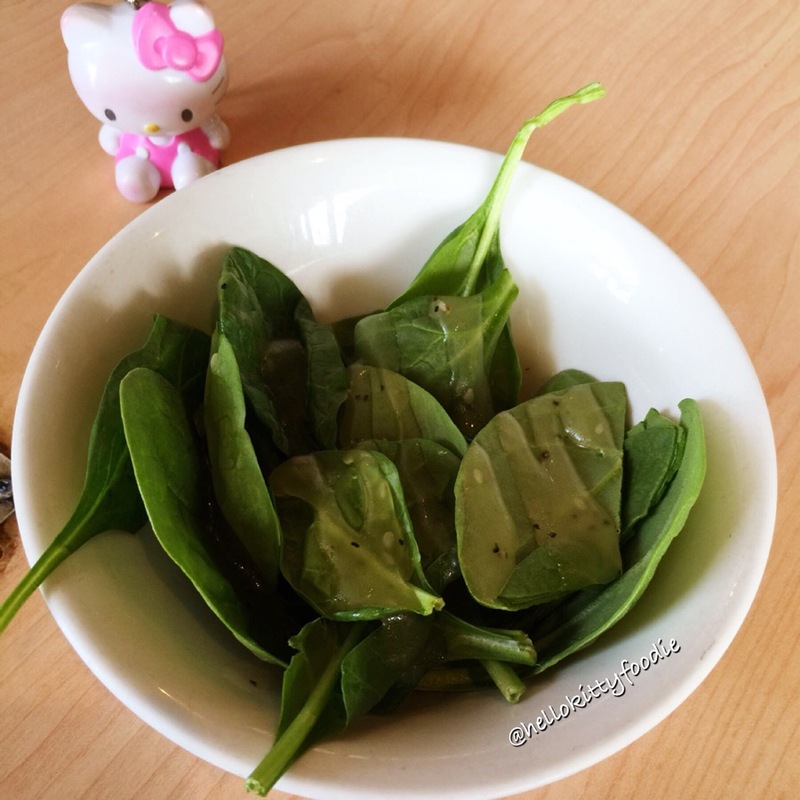 My meal first started off with fresh and healthy salad consisting of spinach and nice sweet dressing. After the salad, I got to try their Chinese style pork and egg udon. This was a huge bowl filled with soft and long udon noodles, tender strips of Chinese style pork and scrambled egg. It’s a dish that reminds me of home cooking. It has a nice broth that just gives some comfort and warmth. 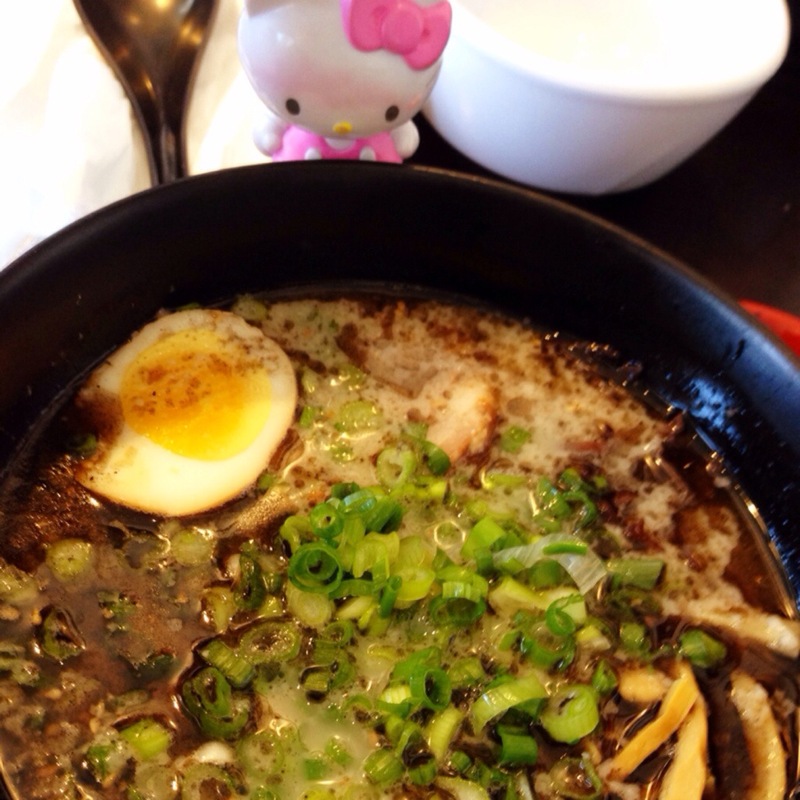 On this day, I also got to try their Japanese style shimeji carbonara pasta. I’ve always been a fan of carbonara pasta and when I read they had shimeji, I was quite intrigued and excited. Shimeji is a group of mushrooms found in East Asia. I love mushrooms and found this a great addition to carbonara. 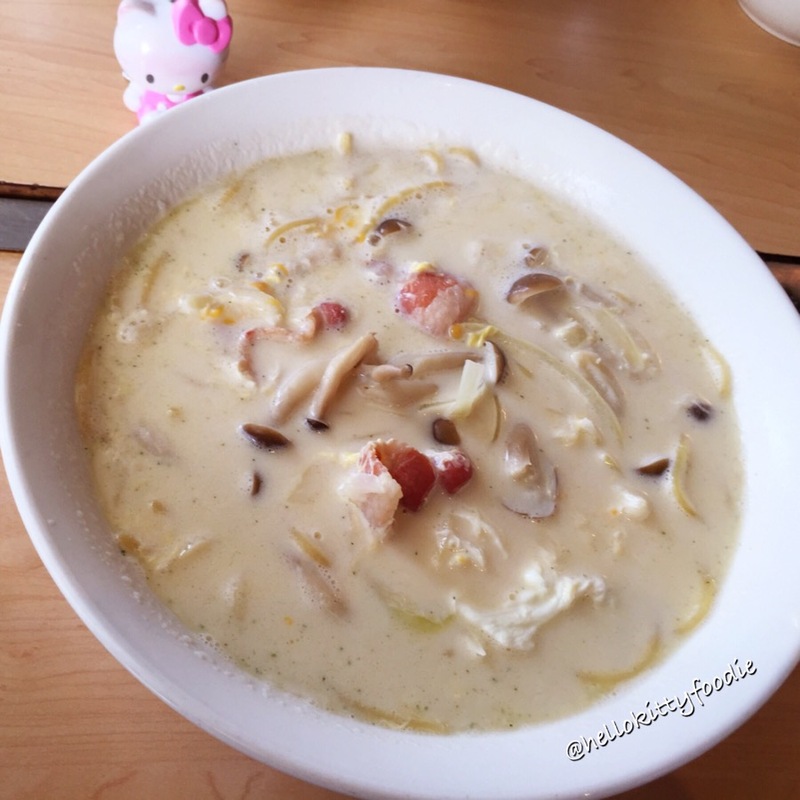 Their carbonara is rich cream based dish with little strips of bacon. Their carbonara is more like a soup dish versus a pasta dish. Last but not least I had to try their okonomiyaki. This is what Gaja Japanese Restaurant is famous for. Okonomiyaki is a Japanese pancake. The name comes is a combo of two Japanese words, okonomi and yaki. Okonomi means “what you like” or “what you want”, and yaki means “grilled” or “cooked.” Here at Gaja you have the option of making and cooking your own okonomiyaki or having them cook it for you. Since it was my first time here ever, I had them cook it for me. I decided on the pork okonomiyaki. When my okonomiyaki came out, I was simply in awe with the huge pancake that was presented to me. It was a giant okomiyaki made out of eggs, shredded cabbage and pork. Drizzled on top was the okonomiyaki sauce, mayo and seaweed. I chose to skip the bento flakes since I am not a fish flake person. Taste wise, it was amazing. 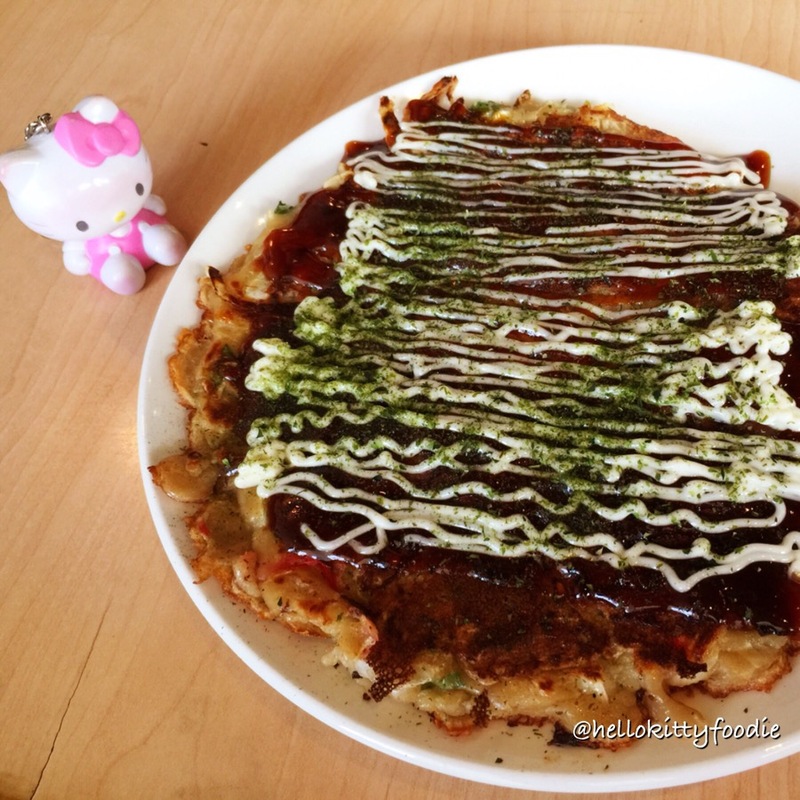 I loved the crispy outer edges of the okomiyaki and was such a fan of the freshness of the whole pancake! It was my first time trying this type of Japanese cuisine and I was very impressed. This restaurant introduced me to another flavor of Japan and only further inspired me to one day visit the land of the rising sun. For more smiles, please see my Yelp review on Gaja Japanese Restaurant. Hello once again to the charming Gardena Bowl Coffee Shop! When I first came to Gardena Bowl Coffee Shop for Easter brunch earlier this year, I instantly became a fan of the charming coffee shop offering homestyle cooking. If breakfast was good, lunch and dinner had to be great as well and I made a note to come back to check it out. I recently came back and indeed their lunch/dinner entrees are just as delicious! All of their dinner entrees come with green tea and a miso soup. Their miso soup is delightful. The warm broth is tasty and not salty like other miso soups. I was also pleasantly surprised to see vermicelli noodles in the miso soup. The vermicelli noodles add a nice touch to the soup. It brings a little more depth to the soup. One of the entrees, I really wanted to try here was the tempura. A coworker mentioned to me how huge their tempura plates were and my curiosity was peaked! On my trip here with my friend, we ordered the tempura dinner and was indeed impressed. The plating is beautiful and there is a good array of crispy tempura. There is shrimp and various veggies such as bell pepper and zucchini. The tempura was served piping hot and simply delicious! The other entree I got to try was the karaage and beef teriyaki This Japanese dish was another winner. 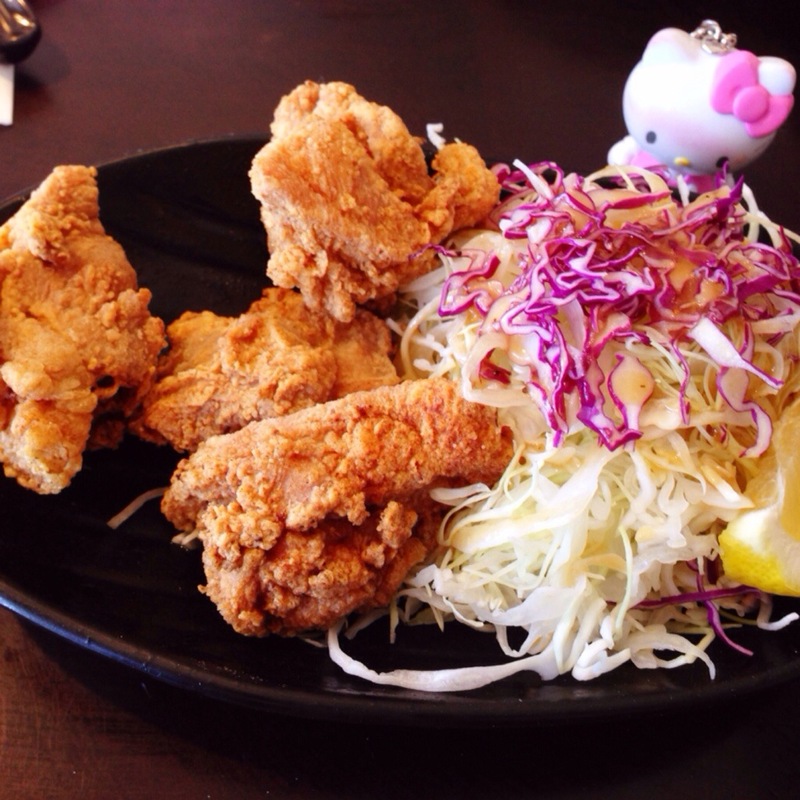 Their karaage similar to the tempura was fresh. I loved that the instant crunch at first bite. It came with a tasty potato macaroni salad. The crispy karaage and the creamy potato macaroni salad were the perfect pair. The beef teriyaki in this dish was excellent as well. The tender beef with sweet teriyaki flavor went well with white rice. Gardena Bowl Coffee Shop continues to be one of the most charming spots in the South Bay for me. Their homestyle cooking continues to make me smile. 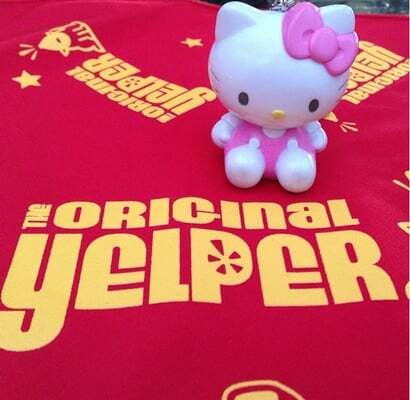 It’s the Lenten season again and for this Hello Kitty Foodie, it means no meat for 40 days. When this time of year comes around, I always wonder what my options are when dining out. This March, I had a Benihana certificate that I needed to use. I was at first a little worried that dining at Benihana would be a challenge for my Lent vegetarian diet. I was however happy to see that it was no challenge at all. There were plenty of meatless items that I could eat! The vegetable roll is perfect for vegetarians and for the Lent! I am normally not a sushi eater because I’m not a fan of any kind of seafood. This sushi roll however had no crab meat or salmon that I normally see in sushi. It’s all veggies. It has green leaf, avocado, cucumber, tomato, red cabbage and yamagobo. Yay to no seafood! I think I may have found the perfect sushi for me. Another great non- meat option was the vegetable tempura. I’ve always been a fan of Benihana’s tempura. 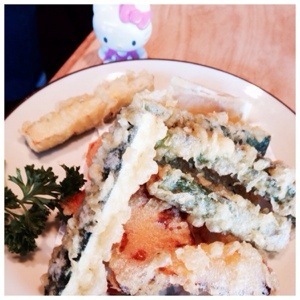 The vegetable tempura consisted of fried veggies like zucchini, squash, calliflower and carrots. Fresh and hot, the tempura was delicious. Today’s Benihana vegetarian eats is the first of many of my meatless dining adventures during Lent. I was happy to find Benihana’s various vegetarian options. Their non-meat dishes is equally as delicious as my other favorites here. I’m happy to be able to try something beyond my normal order of lunch boats and teppanyaki. 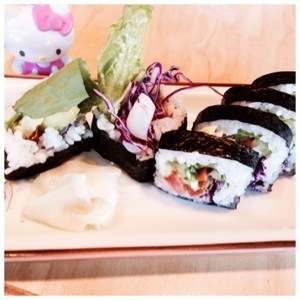 Little surprises = a happy little hello kitty foodie.